In his first –and last– Autumn Statement, the new Chancellor outlined prospective plans for the British economy, in light of the decision to leave the EU. There was a great deal of interest surrounding the announcement, as it was also the first formal economic address of the Theresa May Government. The statement was received positively by some, who felt that Hammond bore early Christmas presents: increases to tax allowances, the national living wage, and a new savings bond. It also included major overhauls of housing and benefits. The Autumn Statement is to be abolished. From 2017, it will be replaced by an Autumn Budget; Spring Statements will begin in 2018. Tax-free Personal Allowance is set to rise to £11,500 in April and £12,500 by the end of parliament. The Basic Rate threshold will increase to £50,000 by 2020. 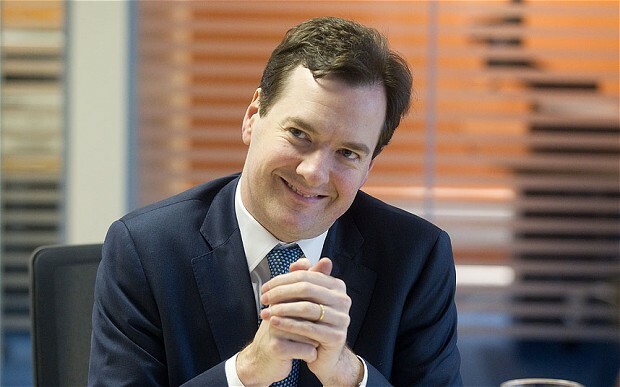 Corporation Tax is to fall to 17% as planned. Measures will be introduced to clamp down on tax avoidance schemes. Insurance premium tax is set to rise from 10% to 12%. Tax savings on salary sacrifice and benefits in kind are to be stopped. Rural Rate Relief is to be increased to 100%, giving SMEs a tax break worth up to £2,900. The charges for Annual Tax on Enveloped Dwellings (ATED) will rise in line with inflation for 2017/18. A new savings bond will be introduced by NS&I. Savers can deposit up to £3000, with an interest rate of 2.2% over three years. Two million account holders are expected to benefit. The Universal Credit earnings taper rate is set to fall from 65% to 63% from April 2017. The rate affects the amount of support paid out to workers on in-work benefits. This is expected to cost the economy £700m. NI contributions made by employers and employees are to be equalised at £157 per week from April 2017. Borrowing will be higher due to lower growth. The Office for Budget Responsibility has forecasted that government borrowings will total £68.2bn this year. It predicts £59bn to be borrowed in 2017/18, subsequently falling to £46.5bn, £21.9bn, £20.7bn and reaching £17.2bn in 2021/22. Public spending this year is to constitute 40% of GDP – down from 45% in 2010. Plans for a Budget surplus by 2020 have been scrapped, in view of the uncertainty facing the economy and slower growth forecasts. There is to be a £23bn fund for innovation and infrastructure over the next 5 years. An additional £400m will be poured into venture capital funds, to help start-ups develop, and unlocking £1bn of new finance for growing firms. From April 2017, there are to be restrictions for corporate interest relief. Research and development (R&D) will see an extra £2bn a year in funding by 2020. Fuel duty rise has been frozen for the seventh year, at a cost of £850 million. This will save the average driver £130 a year. A housing infrastructure fund of £2.3bn will be introduced for 100,000 new houses in areas of high demand. £1.4bn is to be aimed at delivering 40,000 affordable new homes. £1bn will be used to help upgrade Britain’s broadband to “full fibre” to benefit people in rural areas. £400m is to be used for the purpose of innovation. Upfront fees to tenants, often imposed by lettings agents in England, are to be banned. This will happen ‘as soon as possible’, the chancellor said. If you require any tax advice on changes on the budget, feel free to give us a call for a no obligation chat with one of our specialists! The higher rate threshold for income tax (the amount that individuals start paying tax at 40%) will increase to £45,000 from April 2017. From April 2017, there will be a new £1,000 tax free allowance for property rental income. Capital Gains Tax rates will be lowered to 20% for higher and additional rate taxpayers, and 10% for basic rate taxpayers. The rates are currently 28% and 18% respectively. The changes will be effective from the tax year 2016/2017. However, the lower rates will not apply to gains on the sale of residential property. Corporation tax will be cut to 17% by 2020. Class 2 National Insurance contributions will be scrapped from April 2018. From April 2018, individuals will only have to make Class 4 National Insurance contributions in respect of their self-employment income. Stamp Duty Land Tax rates will be reformed for commercial property from 17 March 2016. The current rates apply to the whole transaction value, but this will be reformed so that the rates apply to the value of the property over each band in a similar way to residential property. The new rates and tax bands will be 0% for the portion of the transaction value up to £150,000; 2% between £150,001 and £250,000, and 5% above £250,000. Entrepreneurs’ relief will be extended to external investors in unlisted trading companies. This will remove the requirement to be an employee or hold 5% or more of the shares for unquoted shareholdings. The rate of tax charged on loans to participators (currently 25%) will be 32.5% from 6 April 2016. Non-residential property developers will be brought into the scope of UK tax on the profits earned from developing UK property, regardless of the residence of the company carrying on the trade. This will ensure that a non-resident is subject to tax on profits from a UK property trade. After The Commons’ Public Accounts Committee stated that HMRC’s £130 million settlement with Google for underpaid corporation tax was ‘disproportionately small’, the spotlight on Google’s relatively small corporation tax bills continue to anger politicians and the general public. Despite the recent publicity, many are still unsure as to how Google was able to engineer such a favourable deal, given the size and success of the company. It is easy to forget that Google’s tax affairs are compliant with UK tax law and consistent with international tax agreements. Having a UK website does not mean that a non-resident company has either a fixed place of business in the UK or a dependent agent in the UK. All of the trading activity could be taking place outside the UK. Most multinational businesses are not single companies, but a group of companies, only some of which will be operating in the UK. For example, sometimes a company from outside the UK sells to UK customers via the internet. Another group company in the UK provides warehousing, distribution or other services and support to the selling company. Where this takes place, the UK service company will be taxed only on the profits of its own business, i.e. the services it provides to the selling company. This is not tax avoidance: it is simply the way that Corporation Tax works, i.e. it applies to individual companies. By making this statement, HMRC have virtually conceded that there is very little they can do to prevent the tax arrangements of multinational companies such as Google, so long as the arrangements are allowed by current UK tax law. As hinted by HMRC, the problem with Google’s products from a tax perspective is that they are not tangible – the services are all online-based, meaning they cover every country in the world. Therefore, assessing the UK profit is difficult. In Google’s case, the UK sales are made by and recorded by its Irish subsidiary, which owns licenses to Google’s intellectual property. Contrary to public opinion, the recent settlement with Google had very little to do with challenging the main element of their tax structure outlined above. The crux of the settlement was focused on one key aspect of the relationship between Google’s UK company and Google Ireland; the amount that the UK company pays the Irish company to carry out its engineering work. The ‘transfer pricing’ rules in the UK restrict the manipulation of pricing in order to obtain a tax advantage between entities in different countries (by, for example, charging more or less than the commercial rate to show a particular profit). The settlement has agreed to rectify this, without touching on any other aspect of the relationship with Google’s Irish company or its other subsidiaries. So despite the uproar, the settlement is the result of one particular technicality, which explains why, in the grand scheme of things, it is far short of what most people were perhaps expecting. Subject to certain exemptions, all non-residents will be subject to UK CGT on gains arising post 5 April 2015 on the disposal of UK residential property. The only concession is that the cost of the properties for CGT purposes will be rebased to their market value at 5 April 2015, meaning no tax will be paid on an increase in value prior to that date. New measures have been introduced that restrict relief for finance costs on let residential properties. These are being introduced gradually from 6 April 2017. From 2020, tax relief will only be given at the basic rate, meaning the measures will have a harsh impact on higher and additional rate tax payers. Unlike the current rules which stipulate that mortgage interest can be deducted in arriving at the profit or loss on a property, the new rules will calculate relief for the mortgage interest separately. For higher and additional rate taxpayers, this will work to reduce the allowable deduction for mortgage interest, so that any relief is restricted to the basic rate band (20%). From April 2017, all UK residential property held directly or indirectly by foreign domiciled persons will be brought into charge for Inheritance Tax ("IHT") purposes, even when the property is owned through an indirect structure such as an offshore company or partnership. This could result in foreign domiciled persons being liable to pay a 40% tax liability in respect of the market value of UK residential properties held (directly or indirectly) by them on their death. Under proposals announced in the Autumn Statement, additional Stamp Duty charges could apply to the purchase of second homes. From 1 April 2016, a surcharge will be added to all Stamp Duty rates for residential property, where the purchaser already owns one or more UK properties. The stamp duty surcharge will lift each band by 3%. For instance, properties worth between £125,000 and £250,000 currently attract stamp duty of 2%, but the changes mean those with more than one property will pay 5%. It is proposed that the higher rates will apply to all contracts entered into after 25 November 2015, where completion takes place on or after 1 April 2016. New ‘Personal Savings Allowance’ - This will apply a 0% tax rate for savings up to £1,000 , such as interest, paid to an individual (or £500 for individuals with any higher rate income). The PSA will not be available to individuals with any additional rate income. Dividend Taxation – The dividend tax credit will be repealed and replaced by a new ‘dividend allowance’, similar to a personal allowance but specific to dividend income, of £5,000. The dividend tax rates thereon will be 7.5% at the basic rate, 32.5% at the higher rate and 38.1% at the additional rate. Benefits worth £50 or less, paid for by an employer, will no longer trigger a tax and national insurance bill for staff. Tax relief for mortgage interest – the amount of mortgage interest that buy-to-let landlords can deduct in calculating their taxable rental income will be restricted to the basic rate band. Currently, landlords can deduct the full amount of interest paid when calculating their taxable profits. However, the higher rate relief will be phased out gradually over a period of 5 years, until 2021 when relief will only be given at basic rate (20%). The lifetime allowance (the amount of pension savings that can attract tax relief in an individual’s lifetime) will be reduced to £1 million from the 2016-2017 tax year. The limit will then increase in line with the Consumer Price Index. Enterprise Zones – The Autumn Statement confirmed that legislation will be introduced to establish 26 new Zones, ten of which will provide for enhanced capital allowances for qualifying expenditure. The enhanced capital allowances will be available for expenditure incurred on or after 25 November 2015. Wear and Tear Allowance - The Wear and Tear Allowance will be replaced by a new provision for a deduction for the replacement of furnishings. Instead of W & T (which allowed for a flat 10% deduction from rental income), a deduction will be available in calculating the profits of a property business for expenditure on furniture, furnishings, appliances (including white goods) and kitchenware, where the expenditure is on a replacement item provided for use in the dwelling. The deduction will be available for expenditure incurred on or after 1 April 2016 for corporation tax payers and 6 April 2016 for income tax payers. This deduction will not be available for furnished holiday lettings because capital allowances will continue to be available for them. Domicile - The existing deemed domicile provisions for inheritance tax will be brought in line with the proposed new deeming rules for non-domiciled individuals who are long term resident in the UK. This means that an individual will be deemed UK domicile if they are resident in the UK for 17 out of the previous 20 tax years. The legislation will also ensure that anyone born in the UK with a UK domicile at birth and who later acquires a domicile of choice elsewhere, will be deemed to be UK domiciled for tax purposes if they are resident in the UK in at least one of the previous two tax years. Residence Nil Rate Band - A residence nil-rate band will be available when a person downsizes or ceases to own their main residence. In addition to the £325,000 nil rate band already available (the amount an individual can receive tax free) there will be an additional nil-rate band where a family home is passed on to the surviving children. As announced at Autumn Statement, the government will introduce higher rates of Stamp Duty Land Tax (SDLT) on purchases of additional residential properties, including buy to let properties and second homes, from 1 April 2016. The higher rates will be 3 percentage points above the current SDLT rates. Next week we launch a series of tax events across the UK, with our experts and guest speakers breaking down a range of complex tax issues that may affect you in the coming months. There will also be a Q&A session, giving you the chance to speak directly to our Chartered Tax Advisors and experts. All events start at 6.30pm, followed by drinks and canapés. To find out more, and RSVP please select your preferred location below. Please note these events have a limited capacity, and book up quickly. We encourage you to RSVP to avoid any disappointment. The Government has launched a new plan outlining how it proposes to make it easier for small businesses investing in research and development (R & D) to claim tax relief. Small and Medium Enterprises (SMEs) accounted for over 80% of all R & D claims in 2013-14, an increase of 19%. The two-year plan is a response to an HMRC consultation on R & D, and aims to increase take-up of R & D tax relief through raising awareness of the relief among small businesses, as well as making it easier for them to make a claim. R & D tax relief rewards companies for investment in research and development through either an enhanced deduction of corporation tax or repayable tax credit. From November, small companies (those with a turnover under £2 million and fewer than 50 employees) will be able to seek advance assurance on R & D tax relief. This will give them greater certainty and enable them to plan their finances effectively. HMRC will explore ways to improve its communication around R & D tax relief, including looking at ways to use data and work with other Government agencies to identify companies that have carried out R & D but have not claimed relief. An HMRC evaluation on R & D showed that for each £1 of tax foregone by R & D tax relief, there was between £1.53 and £2.35 of additional R & D investment. Given these statistics, the Government is keen for more small businesses to take advantage of the reliefs available. In addition to Ebrahim and Charlie speaking at this event, we are also pleased to confirm that Sovereign Group's Managing Director, Simon Denton will also be joining us, giving his expert opinion on offshore client services. Read more about the speakers here. Make sure you don't miss this chance to grill our experts on the issues that could affect you. Great news for property investors & developers! The Government has announced that it will make 'permitted development' permanent. Originally permitted development rights were due to expire in May 2016. Permitted development rights have enabled offices to be converted to new homes without having to apply for planning permission. In addition the Housing and Planning Minister Brandon Lewis today announced the government will expand the scheme to a allow offices to be demolished, not just converted, and extended to light industrial and launderettes for new homes. It is estimated that since they were first announced in 2013 over 4,000 conversions were given the go-ahead. In addition those who already have permission will have three years in which to complete the change of use – ending potential uncertainty for developers and enabling the development of much needed homes. Those areas that are currently exempt from the office to residential permitted development rights will have until May 2019 to make an Article 4 direction if they wish to continue determining planning applications for the change of use. For clients who are property investors and developers this is creates a lot of new opportunities which Signature Tax can help with both in sourcing the deals, arranging the finance and working with our partners to structure the deals. The Government has announced that UK video game businesses are to receive a £4 million funding boost to aid the industry’s growth. The fund is particularly aimed at helping start-ups and will reinforce the government’s message in backing the industry. Over the four years from 2015 to 2019, the Video Games Prototype Fund will offer grants to support video games projects. As part of the plans, grants of up to £25,000 will be available to help new games development businesses create working prototype games, and up to £50,000 for a limited number of projects to take their ideas beyond the prototype phase. The grants will form part of wider government-backed tax relief for the sector, the most eye-catching of which allows businesses to surrender their losses in video game development for significant tax credits. It is hoped that the measures will attract further investment in an industry that is already worth £76.9 billion per year to the UK economy. From today, a new scheme is being launched helping anyone reaching State Pension age before 6 April 2016 to safeguard their long-term financial security. Each class 3A contribution will result in the acquisition of a unit of extra pension that will increase the contributor’s additional state pension by £1 a week up to a cap of £25. It is being introduced as an option for existing pensioners to increase their state pensions, ahead of the introduction of the new State Pension in April 2016. Those expected to benefit most are low-earning workers, carers and the self-employed, who have always been excluded from the state second pension and state earnings related pension scheme. Class 3A will not replace the existing Class 3 Voluntary National Insurance Contributions, but will sit alongside it as an additional voluntary National Insurance. People are eligible if they are entitled to a UK State Pension and have already reached their State Pension age or reach it before 6 April 2016. This includes men born before 6 April 1951 and woman born before 6 April 1953. It is available from 12 October 2015 until 5 April 2017 and is an opportunity for people to increase their guaranteed retirement income for the years ahead. Are your capital allowances short lived? If you are buying assets with a short economic life, a ‘short life asset’ election may be beneficial to you. Short life asset elections are an alternative form of capital allowances available on assets that are only expected to be in use by the business for 8 years or less. The most common type of asset is computer equipment, but may even extend to certain types of machinery and tools with a short usage span. The relief is designed for assets with a high rate of depreciation. Where this is the case, short life assets can be a more beneficial way of claiming capital allowances as relief will be accelerated where the asset is sold or scrapped from the business. In this situation, it is likely that the business will benefit from a ‘balancing allowance’, whereby the difference between the disposal value and any leftover capital allowances is brought into account, effectively accelerating the tax relief for the asset in one tax period. If an SLA election is not made, relief will be restricted to a much slower rate, and may still be catching up after the asset is sold. A business buys machinery that needs renewing every 3 years for £270,000. It then sells the machine 3 years later for £20,000. The depreciation suffered is £250,000, but if the asset was placed in a general plant and machinery capital allowances pool, the relief after 3 years would have only been £121,000. The short life asset election brings forward the remaining available allowances, by applying a balancing allowance equal to the difference between the disposal proceeds and any remaining allowances available. An additional £129,000 of tax relief is then given in the year of disposal, meaning the tax relief catches up with the depreciation suffered. It must specify the asset, the cost and the date of expenditure. Short life assets may be particularly attractive for businesses that have used up their annual investment allowance in a tax year (currently £500,000 for the period 1 April 2014-31 December 2015 and £200,000 for periods after) . If AIA is available, there is no merit in using an SLA election as AIA gives 100% relief up front. But in years where businesses incur high capital expenditure, it is a very useful alternative. Corporation Tax Self-Assessment returns for accounting periods ended 30 September 2014 need to be filed with HMRC. Private companies with accounting periods ending 31 December 2014, and public companies with accounting periods ending 31 March 2015 will need to file their accounts with Companies House. Returns for properties now caught by ‘Annual Tax on Developed Dwellings’ (ATED) meaning those with values between £1 million and £2 million, will need to be submitted for 2014/15 tax year. Deadline to notify HMRC if you need to file an income tax self-assessment return for the tax year ended 5 April 2015. 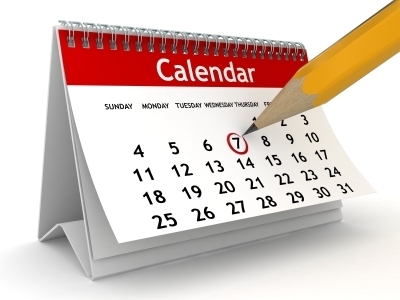 Deadline to file paper income tax self-assessment returns for 2014/15 tax year. The deadline is extended to 31 January 2016 if you are able to file electronically. Deadline to pay ATED for properties of values between £1 million and £2 million. Corporation tax self-assessment returns for accounting periods ended 31 October 2014 need to be filed with HMRC. Private companies with accounting periods ended 31 January 2015, and public companies with accounting periods ended 30 April 2015, need to file their accounts with Companies House.